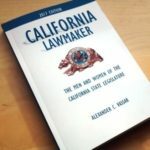 Statewide maps of the Senate, Congressional, and Board of Equalization district maps drawn by the California Citizen’s Redistricting Commission have been added to the Redistricting page on JoinCalifornia. The Assembly district map should be added soon. The highest vote count for a State Assemblymember was in 2008,when Ted Gaines won with 166,736 votes. His high count was a combination of a district whose population had grown faster than any other since the last redistricting and being the only candidate on the ballot.